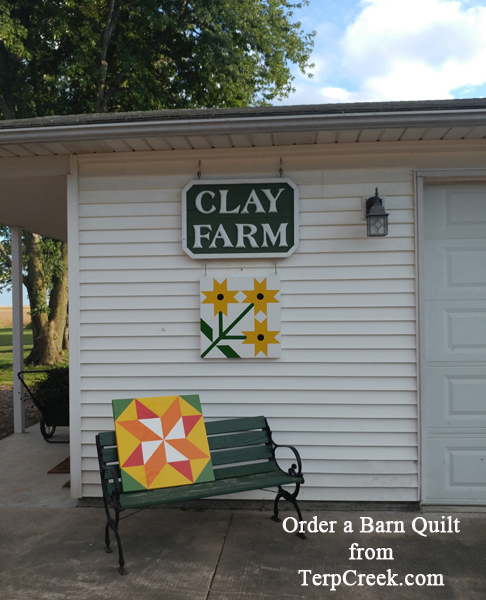 Fall Quilt Block is delivered. I love the way they hung these barn quilts. They are hung from eye bolts and hooks. That way she can change them every season. Now I am working on her winter one.